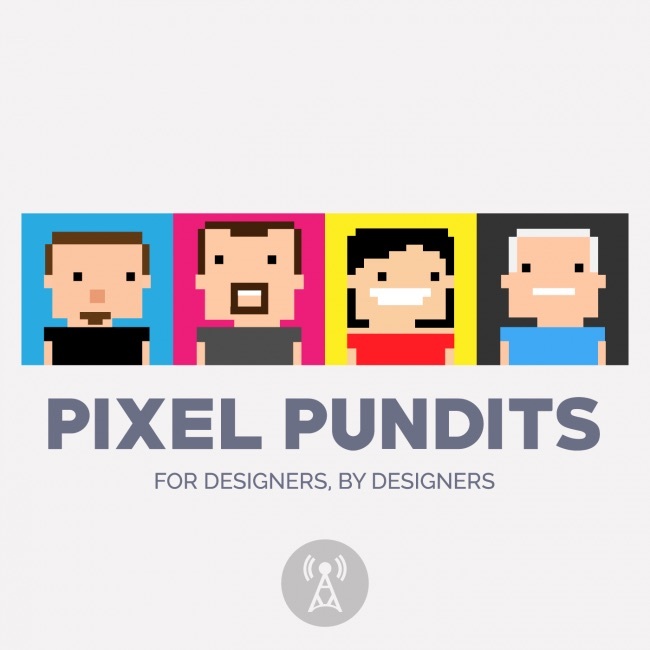 We’ve just finished up a new episode of Pixel Pundits with my pal Justin Seeley and I discussing Photoshop World (among other things). 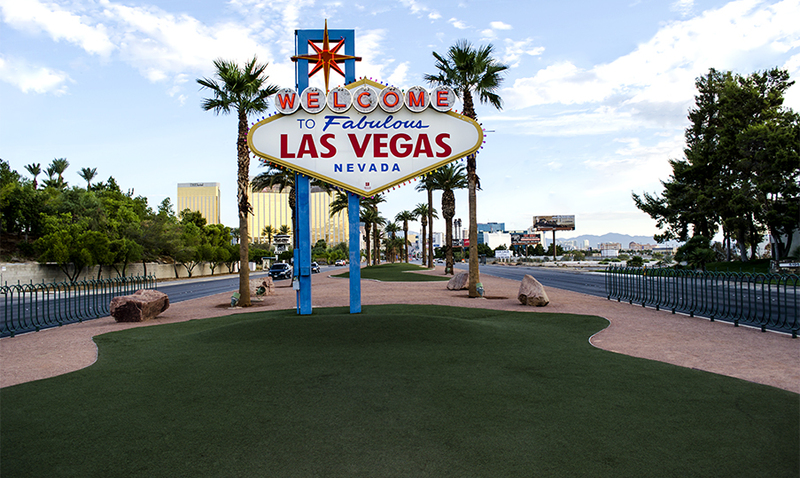 It’s hard to believe that Photoshop World 2015 Las Vegas is only a few days away. So before you head out, I thought I would share some helpful tips and reminders. This year is slightly different than past, with the Guru awards held at the END of the show instead of the keynote, the After Hours is now upstairs in a ballroom instead of HOB or GameWorks, etc. A LOT has been improved this year, so even if you have been a long-time alumni, this is a whole new experience. Seriously. Don’t underestimate the amount of walking you will do at Photoshop World. Comfortable walking shoes can make or break your PSW experience. Take it from me, getting blisters on the first day can really put a damper on your schedule. Also with the conference being held in August, take care and hydrate. Heat indexes can be well above 110° F which can be dangerous for some attendees. Take any precautions you may need, otherwise enjoy the cool conference hall rooms (if you tend to be chilly, bring a sweater). 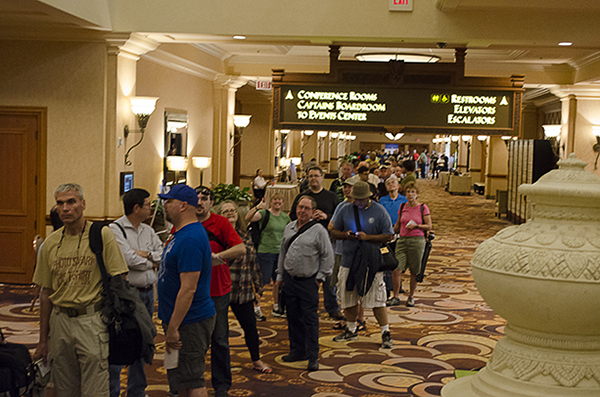 When you arrive at Photoshop World, please note that there are TWO registration desks. One is for people who do not have their credentials that were mailed to you and need badges printed out. The second is for those that have their letters and preprinted badges that were sent in the mail. MAKE SURE YOU ARE IN THE RIGHT LINE. I have heard more stories than I can count of people who waited in the “long line” only to find out they didn’t need to because they had their badge. Sidenote – Do not forget your badge and lanyard once you receive it. They do check people going into sessions and if you forget it in your hotel room, you will have to go back and get it. Remember the mantra – “phone, wallet/purse, lanyard” before you leave your room. If you have a question or need assistance, find a person wearing a black shirt with “STAFF” on the back. They are there just for you and to insure that you have the best PSW experience possible. 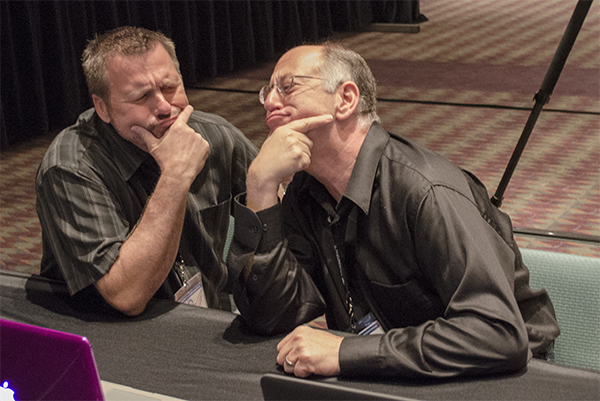 These unsung heroes of PSW are all staff from KelbyOne so they know what they are talking about. : ) If you want to connect with someone helpful on Twitter – be sure to follow @KelbyOne @PhotoshopWorld_ or @ajnaadams – she is the Social Media Director for KelbyOne. This is YOUR conference. Make the most of it. Go to the sessions you want. Dance your aspect ratios off at the After Hours Party. Hug Pete Collins. Try to find RC on the expo floor. Get up early for Midnight Madness tickets. 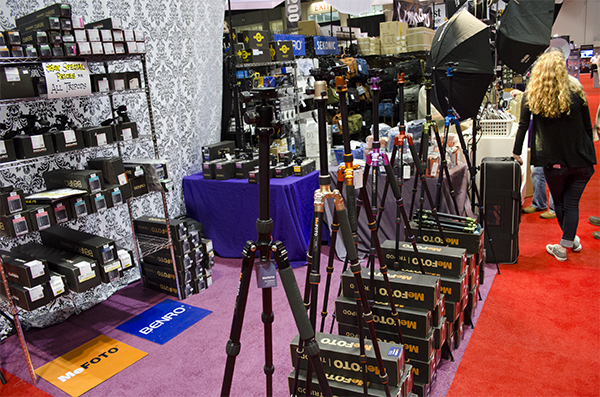 Enjoy the expo theaters and buy some fun equipment from the vendors. But pace yourself, remember this is three days long! My New Insider’s Guide for PSW 2015 has all this information and more packed into a helpful mobile viewing experience. This year I have gone even further offering an .ePub interactive option, with sound, video and more. If you cannot view the ePub on your device I also still have a PDF version which is viewable on many mobile formats. So enjoy Las Vegas and all it has to offer and I hope to see you all there!